GF 305 CLASSIC is a special tire mainly designed for golf carts, but it is also suitable for some hay harvesting operations with implement machinery. 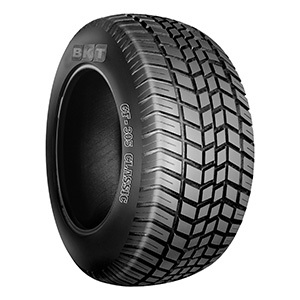 This tire is naturally gentle on the ground and protects the field from damages. GF 305 CLASSIC is a really comfortable tire which makes riding a pleasure.